A SIMPLE attachment for any alarm clock converts it into an instrument that will start a stove or a radio by electricity at the same time that it wakens the sleeper. 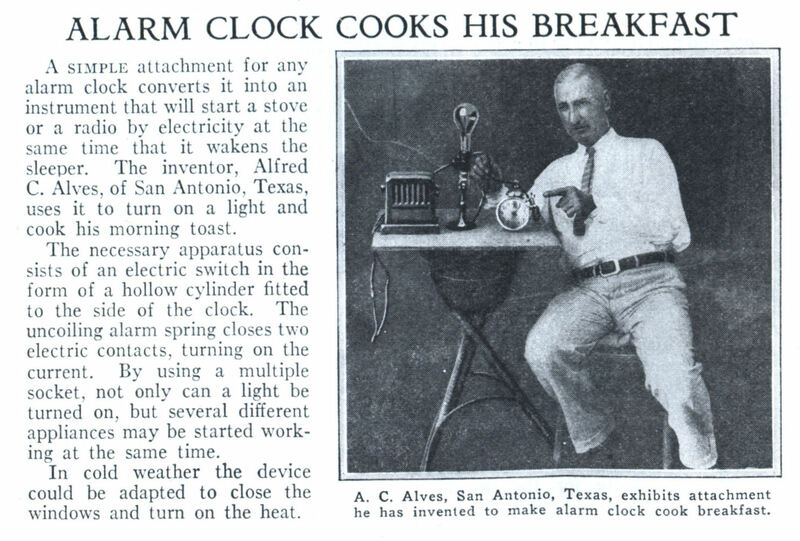 The inventor, Alfred C. Alves, of San Antonio, Texas, uses it to turn on a light and cook his morning toast. The necessary apparatus consists of an electric switch in the form of a hollow cylinder fitted to the side of the clock. The uncoiling alarm spring closes two electric contacts, turning on the current. By using a multiple socket, not only can a light be turned on, but several different appliances may be started working at the same time. In cold weather the device could be adapted to close the windows and turn on the heat. Peewee’s breakfast machine, or maybe Doc Brown’s automatic dog feeder. More like Wallace’s toaster/jam thrower. COOK MY SOCK! Cook it hard. Was it really such a stunning development to realize that a mechanical timer could flip an electrical switch? 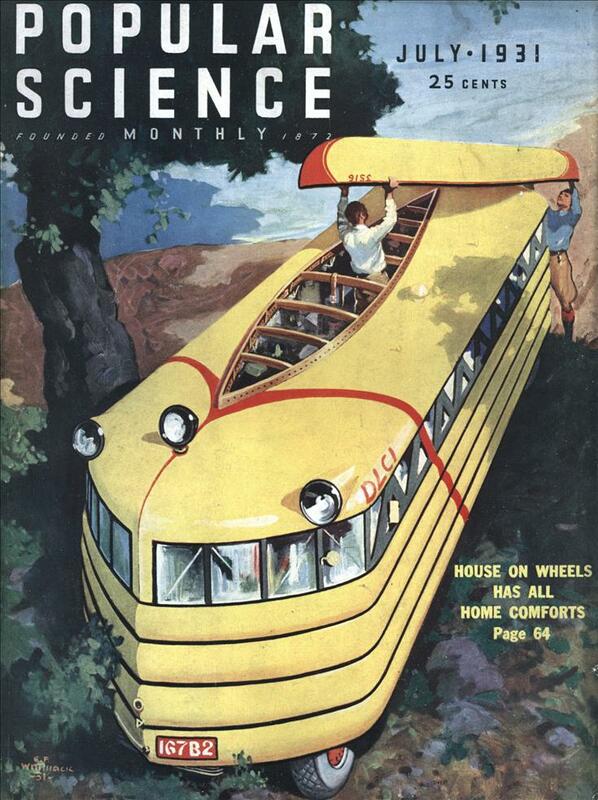 Even if it was, why was each new appliance attached to such a device heralded as a billiant new invention? Brand New–timer activated coffee pot! Brand New–timer activated toaster! Tho’ I guess we’ve had the same in the more recent past, with microprocessors . . . .